Few days ago, I suddenly got a call from my friends asking for a Durian buffet. That time I just finished my dinner at home. I was thinking want to join him for this Durian buffet or not since he is on the way to fetch me up. After a few seconds, I dunno why I said YES to him. Honestly, this is my virgin experience with Durian buffet. 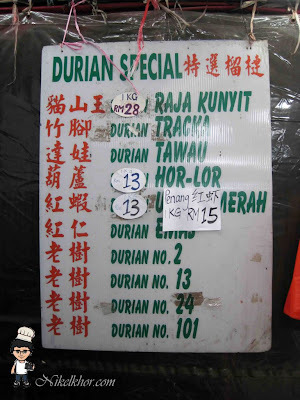 My first impression on Durian buffet was only for lower grade Durian or rejected Durian, and somehow it is out of my expectation that the Durian buffet actually include premium grade Durian. Sounds great to me! 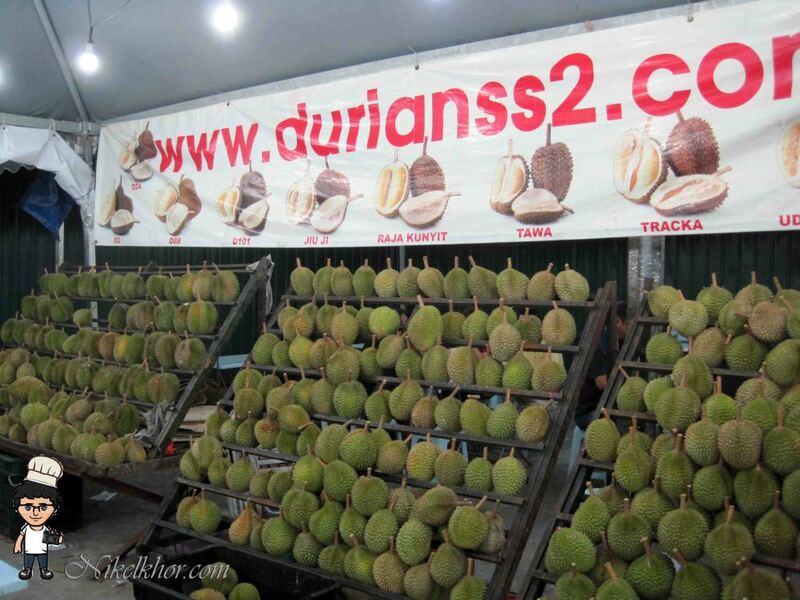 All the Durian was arrange at the rack nicely. 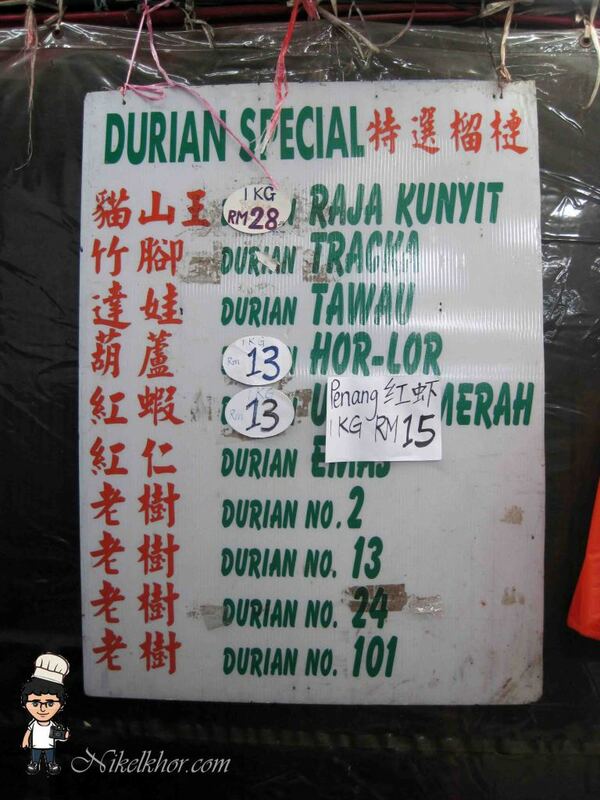 According to the lady boss, the normal price RM9 is only limited on Kampong Durian. However, the premium price RM15 is including assorted branded Durian depending on stock availability on first come first served basis. Beside the Durian buffet, you also have an option for ala-carte Durian menu, the price is varies depending on its weight and brands. 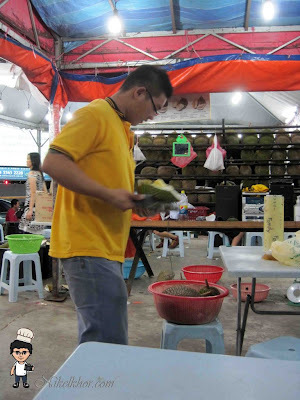 From the range of Raja Kunyit 猫山王, Durian Tracka 竹脚, Durian Tawau 达娃, Durian Hor Lor 葫芦, Durian Merah 红虾, Durian Emas 红仁, Durian 2, Durian 13, Durian 24, Durian 101 and etc. Since this trip are purposely come for the buffet, therefore I decide to leave these all for my second visit. 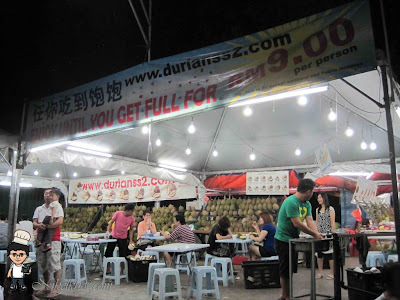 They will open all Durian just in front of you and identify whether good or not before serve it to you. 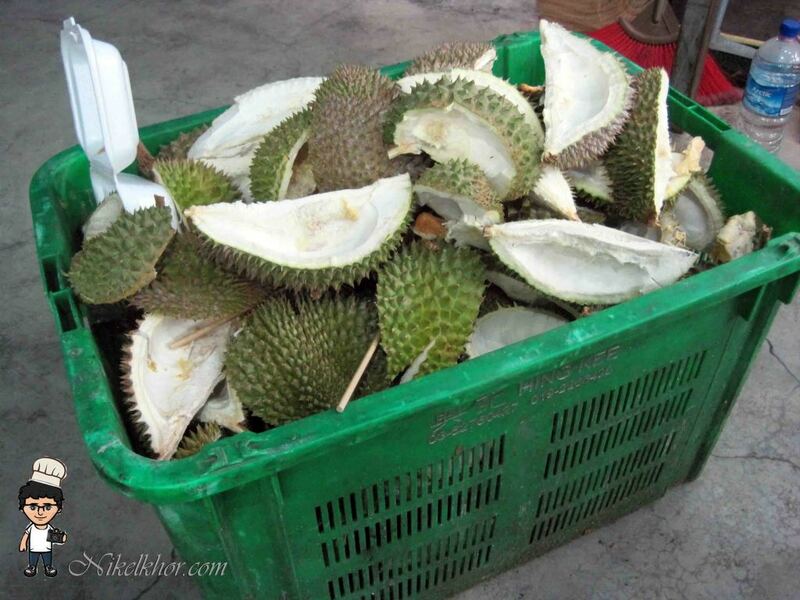 If you found any wrong with Durian, you can just throw it away. 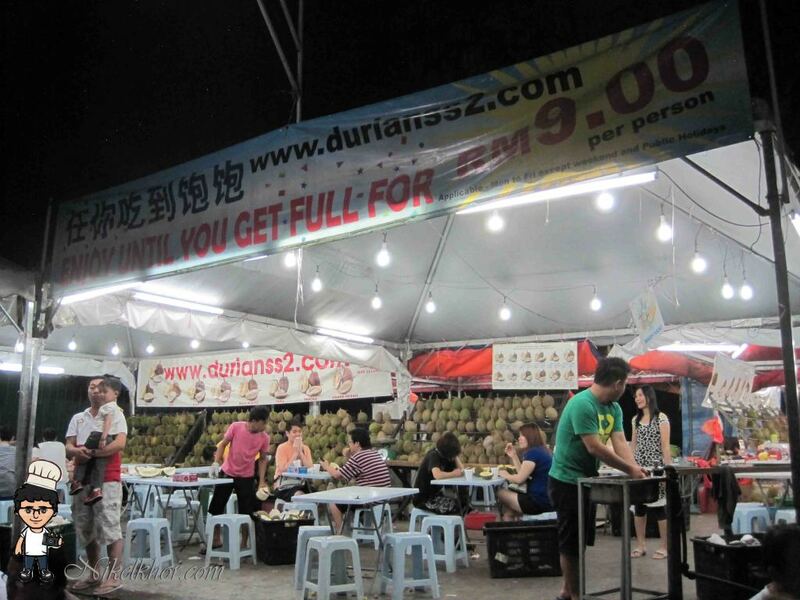 Since it was the Durian buffet, you can easily ask for extra durian if your stomach still have space to afford extra. First round of our Durian buffet. 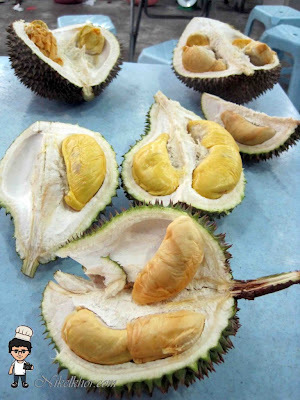 Golden yellow durian flesh, looks attractive indeed! This was the collection of our leftover Durian shells, totally shocked me! It was filled up the whole basket behind our table! At the end of the buffet, I feel very satisfied. Worth for money! @reana better go early, all branded one very fast selling d.. wakaka.. Pay RM15 for premium one, wont cost u much..
@foongpc Enjoy ur durian fest.. I supposed one has to go early to get the good ones if one opts for the buffet one? BTW what are teh assorted brands that they are talking about? The premium ones? @missyblurkit assorted brand.. I also dunno what name, Just eat..